Find yourself enjoying the party as a host you will be amazed to see how “Busy Kids Make Great parties”. 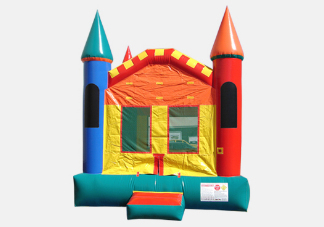 This standard 13×13 foot Jumping Castle sometimes called Moonwalk or Bounce House. It will fit even a small yard. Give your children a special gift that they will remember for years to come. YOu will appreciate the smiling faces a bounce house creates.